Neem is also known as ‘Indian lila’, it is an important part of Ayurveda and the benefits of neem are abundant and incomparable. The scientific name of neem is Azadirachta indica and it is native to our Indian subcontinent. Cultivated naturally in warm and semi-tropical regions, the seeds and fruits of the neem tree are the sources of the acclaimed neem oil. Neem oil has a broad history of use as popular therapy throughout the world and has been used to treat many diseases. It has a strong and intolerable smell, but it has a high content of fatty acids and other essential nutrients. Therefore, neem oil is used in a variety of beauty products such as skin creams, body lotions, cosmetics and hair products. Is it safe to use Neem oil? Yes it is. Neem oil is not toxic in nature and is completely safe for use, not only for humans but also for plants, birds and mammals. But there is a substance called azadirachtin in neem oil, which could be more or less toxic to aquatic animals. Neem oil has amazing benefits to improve the quality of the skin of your face. By using it regularly you can improve the complexion or the color of your skin. Many of you may be using several products to get a clear complexion, but the product only leaves you with disappointment. But neem oil will not discourage you; Not only will it improve the appearance of your skin, but it will also make you look younger and beautiful. Neem oil is an excellent tonic for the skin, as it helps restore skin moisture, which is very essential for a healthy-looking skin. It also fights with the pathogens that lie beneath the surface of the skin. By using neem oil as a skin toner, your skin will look smoother, healthier and younger. Pimples are a big problem that many of you may face. By regularly applying the diluted neem oil will remove pimples and prevent them from reappearing. 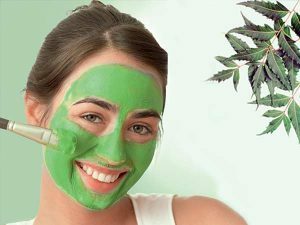 It is recommended that you always add 2-3 drops of water in pure neem oil before applying on your face and get rid of the problem of blackheads. Neem oil is enriched with vitamin E, fatty acids, antioxidants and anti-inflammatory properties that protect the skin from any type of environmental damage. Neem oil also contains carotenoids that accelerate the protection of the skin against free radicals that cause aging. Neem oil is the best savior for skin pigmentation. It lightens the skin making it just as toned. Neem oil helps reduce the production of melanin, which when secreted in large quantities, leads to pigmentation. If you apply neem oil daily, it will clear, embellish and revitalize your skin, significantly reducing skin pigmentation. Neem oil contains a compound similar to aspirin, which helps eliminate the bacteria that cause acne from the skin. 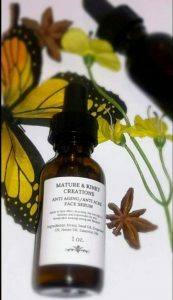 In addition, the fatty acids in neem oil prevent marks and scars caused by acne. And people suffering from redness of the skin after acne should also use neem oil. Skin disorders, such as psoriasis and eczema, cause redness and irritation of the face. And at this time, only vitamin E can relieve the itching of the skin. Applying a few drops of Neem oil after washing your face with warm water will relieve the pain caused by irritation. Use it for at least 30 days to get better.